I have made quite a few updates and improvements to this set of queries for December 2013. I have added several new queries, and changed the order of some of the existing queries in the set, which now has a total of 63 separate queries. I also spent some time this month to true up the SQL Server 2014 version and the SQL Server 2012 version for the queries that are common between both versions. About half of these queries are instance specific and about half are database specific, so you will want to make sure you are connected to a user database that you are concerned about instead of the master system database. The basic idea is that you would run each query in the set, one at a time (after reading the directions). You will need to click on the top left square of the results grid to select all of the results, and then right-click and select “Copy with Headers” to copy all of the results, including the column headers to the Windows clipboard. Then you paste the results into the matching tab in the results spreadsheet. There are also some comments on how to interpret the results after each query. Note: These queries are stored on Dropbox. I occasionally get reports that the links to the queries and blank results spreadsheets do not work, which is most likely because Dropbox is blocked wherever people are trying to connect. I also occasionally get reports that some of the queries simply don’t work. This usually turns out to be an issue where people have some of their databases in 80 compatibility mode, which breaks many DMV queries. There is an initial query in each version that tries to confirm that you are using the correct version of the script for your version of SQL Server. 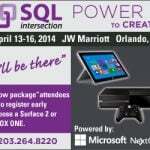 In this case, you need to have SQL Server 2012 RTM (or newer) to pass that check. If you know someone who would benefit from our IE0: Immersion Event for Accidental/Junior DBA or IEHW: Immersion Event on SQL Server Hardware, refer them to us and when they register we’ll send you a $50 Amazon gift card. Either they or you just need to let us know you referred them, we’ll match it up to their registration and send you the gift card. These are vital to any DBA toolkit! Great work Glenn! The information is just what i needed. But unfortunately I cannot access SQL Server 2012 Diagnostic Information Queries and SQL Server 2012 Blank Results. How can I get the files?